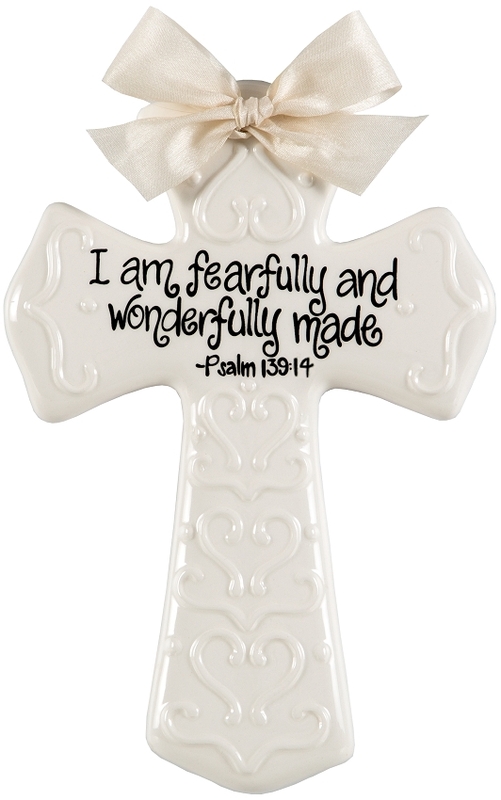 Cream 8" cross --I am fearfully and wonderfully made - Psalm 139:14. This neutral cross can be for a boy, girl or a pregnant mom who has chosen not to find out the gender of the baby! Also great for Christening, First communion, and other occassions.